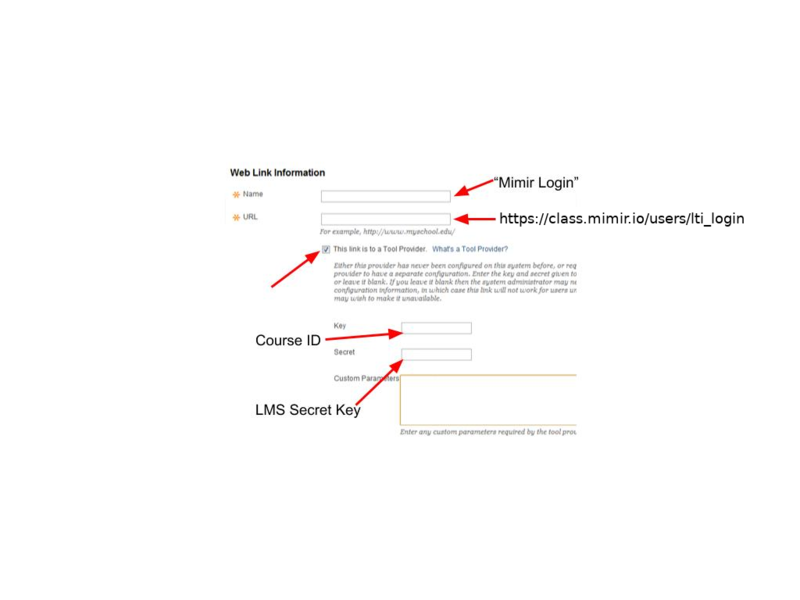 This is a tutorial on linking Mimir Classroom with your school's Blackboard. First, log into an instructor account on Blackboard and your instructor account on Mimir Classroom. Using Blackboard, your students will never have to go through the registration process, they can simply click a button on your class’ Blackboard page and they will automatically login through a linked account. You should only have to perform these steps once for each course. Blackboard is shipped in several different versions, and different schools give their instructors varying permissions within Blackboard. 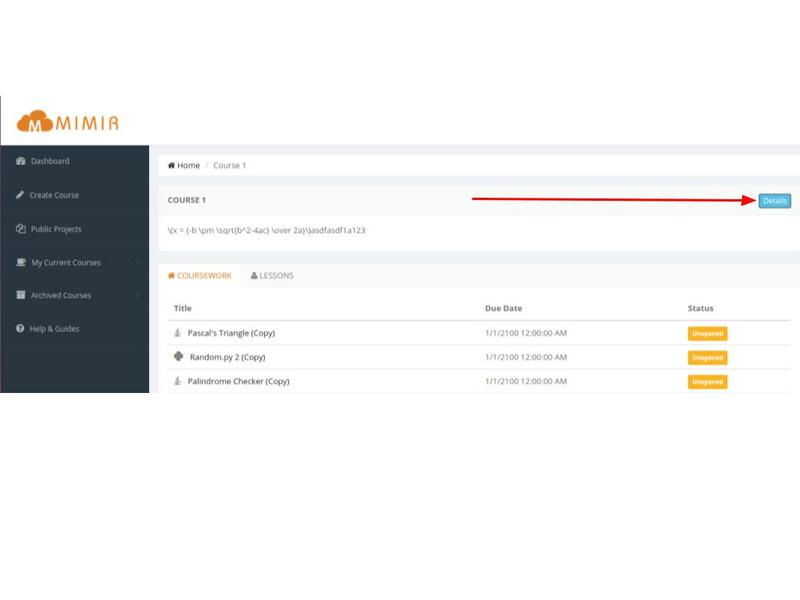 Because of this, some instructors will need to contact the school’s administration in order to register Mimir Classroom on the list of accepted external tools. If you experience this issue, or any others, feel free to contact us through the chat bubble at the bottom right corner of Mimir Classroom, and we will be glad to help walk you through this process. To create the one click login link, first navigate to the course in your Blackboard account, click “Build Content” and select “Web Link”. You should be presented with a form like this. However, different versions of blackboard may look different. You can put whatever you want your students to see in the “Name” field, such as “CS101 on Mimir” or just “Mimir Login”. In the “URL” field, paste the following: “https://class.mimir.io/users/lti_login”, and check the box that says “This link is a Tool Provider.” If you see a notification stating that the link is not valid or that it has not been approved by the administrators, you will need to add Mimir to the list of external learning tools that your university. There is a tutorial at the bottom of this guide on how to accomplish this. Assuming Mimir has been approved and you do not see any error messages, you can move on to the next two fields. The values you need for these two are located on your course page on the Mimir Platform. Login to your account, navigate to your course’s page, and press the “Details” button. Here you will find the three fields that you need to fill out the form and set up the Mimir Login app. 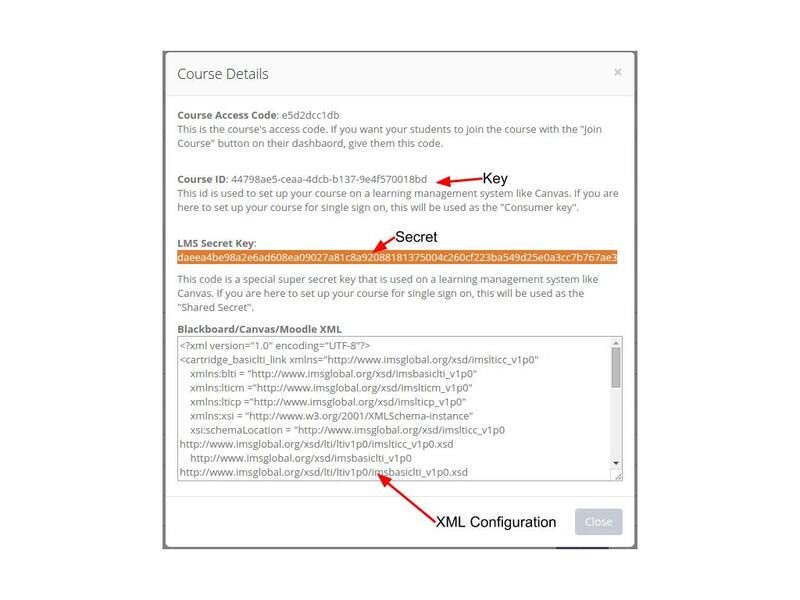 Copy the “Course ID” into the “Key” field, the “LMS Secret Key” into the “Secret” field. Certain distributions of blackboard will have a field when creating the web link to paste an XML configuration. If this is true for you, you can copy the entire “Blackboard/Canvas/Moodle XML” into this textbox. Do not paste the XML into the “Custom Parameters” text box, these are not the same thing. You can configure some additional settings from here. For example, we recommend you set up the link to open in a new window, as shown below. On the Administrator Panel (System Admin), under Building Blocks, click Building Blocks. Click Basic LTI Tool Providers. Select the Provider Domain Status - Approved. Approved is the default and is required to use the tool. Choosing Excluded will prevent users from adding Tool Links to that Provider. None of the other settings are applicable to the Mimir Platform, so hit save once you have selected the Approved status.